From Investment Banking to ICO Advisory Jobs: The Exit Opportunity of the Future? Will the ICO (Initial Coin Offering) eventually displace the IPO? I’m not sure, but plenty of people have gone “all-in” on cryptocurrencies and argue that blockchain technologies will make the same impact as the Internet and smartphones. I’m not quite there – I think it’s promising, and I’ve done a bit of “investing” (read: speculating) in the space, but I’m not sure that the technology as it currently exists will change the world. Q: Can you walk us through your story and explain how you entered investment banking and then the crypto world? A: I graduated a few years ago from one of the top universities in Russia and decided to go into IB at the last minute. In my final year, I randomly got interested in finance (my major was economics/math-related) and I decided to complete an in-person training course. I hadn’t completed the right types of internships or done enough preparation to win offers at the international bulge-bracket banks or the top Russian domestic banks (e.g., VTB or Sberbank), but I had a better shot at middle-market banks. I was in the right place at the right time, so a middle-market bank/brokerage hired me after a single interview, and I started as an intern, became an Analyst, and stayed there for ~2.5 years. I worked on a lot of ECM and DCM deals, a few M&A deals, and hedging strategies for commodities companies. The massive drop in the Russian ruble, sanctions, and falling business activity made it hard to execute larger deals. Also, our firm’s plan to sell hedging strategies to Russian companies did not work well because CFOs did not understand the value of paying something for a hedge. The deal environment was poor and I was getting bored with banking, so I started a small crypto hedge fund on the side (raising ~$100K USD from others) since I believed that blockchain was the future. A friend then won an internship at a blockchain-related startup, and I met some people there, explained my investing strategies, and stayed in touch. A few months later, they suddenly called me and said they needed to hire someone – and I had an offer. The firm’s strategy sounded like “crypto investment banking,” so I was eager to join, even though I would be giving up a good salary to do so. Q: That’s quite a story. Before we delve into your current role, maybe you can give us a quick update on the finance industry in Russia. We published a controversial article on investment banking in Russia a long time ago, which I don’t want to rewrite – but do you have any quick updates? A: In short, the environment has gotten worse because of the ruble depreciation, sanctions, and lack of business activity. The international bulge-bracket banks, such as Goldman Sachs, do have teams in Moscow, but they’re very small (think: 10 people total with only a few interns/analysts hired each year). And the other BB banks have an even smaller presence. There are also the Russian investment banks, chief among them VTB and Sberbank. They are bigger in terms of headcount, but still much smaller than firms based in London or NYC. Almost every major Russian company has loans issued by one of these banks, and these firms also have “right of first refusal” for IB services here. But the rumor is that Sberbank may shut down most of its IB operations, so the industry might be even smaller soon. Outside of those, domestic middle-market banks that also provide trading and brokerage services are a third option in the industry here. Q: OK. What about the recruiting process and compensation? A: Recruiting is similar to the process in the rest of the EMEA region, but since the industry is so small, you need to be at one of the top 2-3 universities to have a good chance. The top few students who get into IB are extremely good at accounting and finance, to the point where they know everything they’ll do at a large bank before they even start working. One difference is that you don’t necessarily need to start recruiting in Year 1 or 2 of university; it’s not as hyper-accelerated as it is in the U.S. However, you still need previous work experience in audit, valuation, real estate, corporate finance, or something else related to banking to win offers. Regarding compensation, you’ll earn 5-10x what you would at a Big 4 firm if you’re at an international bulge-bracket bank (depending on bonus levels for the year). Pay is still a discount to average figures in New York and is probably closer to London compensation levels (which are roughly a 20-25% discount to NY compensation). But the 13% personal income tax rate means your after-tax pay may be higher than in those larger financial centers. Q: Thanks for that update. Can you describe what your current blockchain company does? A: Sure. We’re aiming to automate the process of tokenizing assets so that brick-and-mortar stores, media accounts, mobile apps, and even real-estate and water-distribution services can offer tokens. A “token” is a special kind of virtual currency that is based on an existing blockchain (most frequently Ethereum) and represents an asset or utility (e.g., customer loyalty points). While cryptocurrencies such as Bitcoin have their own dedicated blockchains and are used as stores of value and occasionally for payments, tokens help to create unique economic models and execute apps. Think of tokens as a very flexible asset class with customizable sets of properties. Essentially, these tokens help you “use” whatever app, service, or product the company offers. 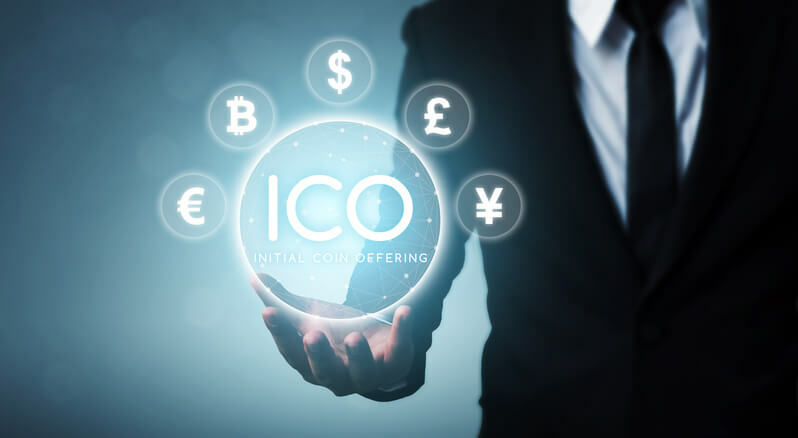 Companies create, distribute, sell, and circulate these tokens through initial coin offerings (ICOs), which are crowdfunded deals where companies sell tokens in exchange for fiat currency (USD, EUR, etc.) or cryptocurrency (BTC, ETH, etc.). If we automate this process of tokenizing assets, companies will be able to bypass the traditional capital markets when they raise funds for new projects. The biggest challenges are making the descriptions of these assets “digital,” inserting them into the blockchain, and then complying with regulations while issuing tokens. Q: Thanks for that explanation. And what is your role there? What, exactly, are “ICO advisory jobs”? A: I was hired as the “ICO Manager,” so I helped our firm’s clients arrange their ICOs, price the deals, and search for investors. But at the time, our company was in the middle of raising funds via its own ICO, so I switched to supporting that, which included searching for potential investors, setting up the sales process, and managing the sales/support team. It’s the same skill set I used to execute capital markets deals in investment banking, so I was a good fit for the role. We raised tens of millions USD, and a few large tech companies invested, so the process had a good outcome; it also helped that crypto prices were increasing rapidly at the time. We had a few post-deal issues such as tokens not being sent to investors correctly, but the actual deal was smooth. Currently, my role requires me to work on a few industry-specific tokenization cases and develop relationships with big financial institutions in hopes of eventually getting their support for infrastructure development and implementation. Q: Congrats! What made your ICO successful? A: During the process, investors and partners could see that we were a legitimate operation, which is crucial since trust and momentum drive the process more than products/ideas. There are no real “rules” around the sale of tokens, so things that would be considered illegal in an IPO could be done here. When a token sale occurs, different investors pay different rates, and whoever buys in first gets them cheaper – so you have to be careful about over-selling. If you over-sell your tokens, small retail investors may buy them for low prices but then turn around and sell them right away. In many previous ICOs, the token price went down after the deal because the companies had squeezed out all possible demand from the market. So, as with traditional IPOs, you need to balance the post-deal price against the amount of capital you want to raise. Q: On that note, how would you compare an initial coin offering (ICO) with an initial public offering (IPO)? A: The biggest difference is that in an ICO, investors buy tokens that do not give them any ownership stake in the company. Instead, they’re hoping that these tokens will appreciate in value and become useful in the company’s own “ecosystem” of products/services, similar to what Ethereum did when it raised $18 million in 42 days for its Ether token (the Ethereum market cap later increased to the tens of billions). Another difference is that there are far more legal and regulatory requirements with an IPO, such as audited financial statements, a certain amount of revenue, a certain level of corporate governance, and more. ICOs are in “grey territory” legally because it’s not always clear if deals or specific aspects of deals are legal. The SEC in the U.S. also distinguishes between “utility tokens” and “security tokens” and regulates security tokens, but the dividing lines are not always clear. Also, no token has yet been classified as a “utility token” by SEC. ; they either claim something is a “security token” and start investigating the illegal sale of securities or remain silent. Most well-prepared, successful token sales are done via Regulation D (rules that provide exemptions from SEC registration requirements) or Regulation S (for offerings of securities issued in another country that are exempt from SEC registration) to minimize legal liability. The other major differences between IPOs and ICOs relate to the marketing process and the post-deal governance. In an IPO, a large bank will set up a roadshow where company management meets institutional investors and gets indications of interest for their stock. Then, the bank will price the shares, award a certain volume to interested institutional investors and a few to certain retail investors, and the shares will begin trading publicly. In an ICO, the entire process is more random because you never know who has the money. It’s impossible for the sales team to have “regular investors,” so the process centers on crypto conferences that bring together companies seeking money, investors looking to find the next big hit, and middlemen connecting everyone. The investors are usually just wealthy individuals; few institutional funds invest formally in crypto. Once we raise the initial money – say, a few million USD – we announce it to gain credibility. Then, other groups start investing, and smaller investors eventually join in. So, marketing an ICO is a staged process that depends on winning a few large investors and then using that to establish credibility with everyone else. Regarding post-deal governance, companies that raise funds through an ICO have little oversight from investors; no one joins the Board of Directors, for example. This is completely unlike the “Raise venture capital and then go public” process where VCs and other institutional investors join the Board. As a result, if you run into problems after an ICO, you don’t have the support network or connections that a VC-backed company does. Q: How common is it for companies that raise funds in an ICO to take the money and run off to an island in the Pacific? A: Scams do happen, but usually companies that are looking to scam investors don’t even raise money successfully in the first place. The bigger issue is the failure to execute – many companies genuinely want to do something, but lack the resources and talent to execute their vision and end up going nowhere. It’s the equivalent of a failed early-stage startup in the VC world, but in this case, individuals rather than institutional investors lose. Q: Thanks for clarifying. What’s the future of the ICO market, and do you think these ICO advisory jobs are good exit opportunities for bankers? A: Personally, I have a pretty negative outlook for the market, though I can’t say for sure since things in crypto land change 10x faster than in real life. The amount of capital in search of extremely risk investments (i.e., ICOs) was fueled by the rapid growth of established cryptocurrencies. But now that the market is trending downward and regulations are becoming stricter, ICO volumes are declining heavily. Eventually, I think investors will realize that most companies raising money via ICOs lack the governance and support to be successful. So, the rules and regulations around ICOs will change, or companies will start raising funds in other ways. Bankers could be very useful in the blockchain world because they know finance and understand how to pitch deals to investors. But it depends on your goals – if you help a company raise $20 million in an ICO, you’ll be well-compensated, but it’s not exactly a stable income source. The market is changing so much, so quickly, that these jobs can’t compare to the well-established “IB to PE” path. But if you’re excited about crypto and willing to take the risk, sure, go ahead. I did so and have no regrets about it. Thanks for the article! a very fun late night read.